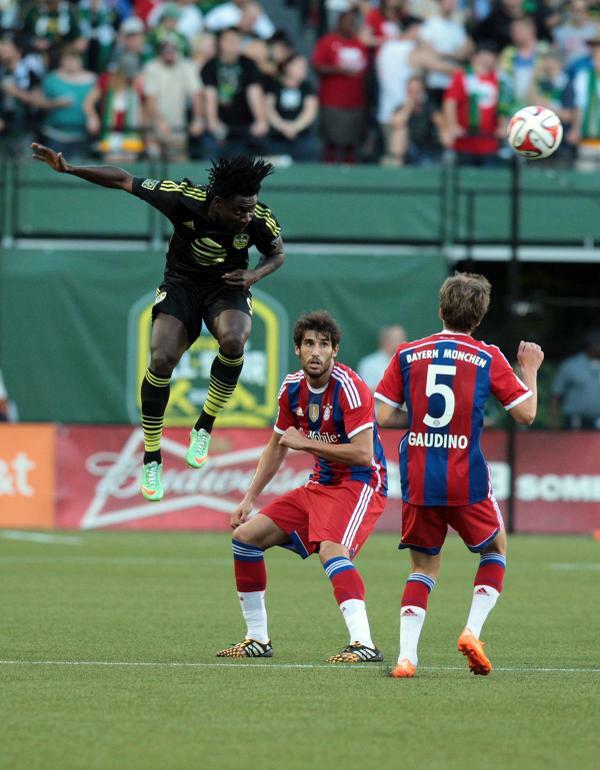 The MLS All-Stars, which include four Sounders FC players, will take on German powerhouse Bayern Munich at Providence Park in Portland. 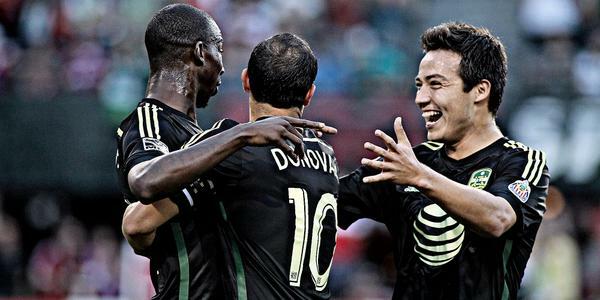 I’m realllllyyyyyyy excited that there are THREE @SoundersFC players starting the #MLSAllStar Game. 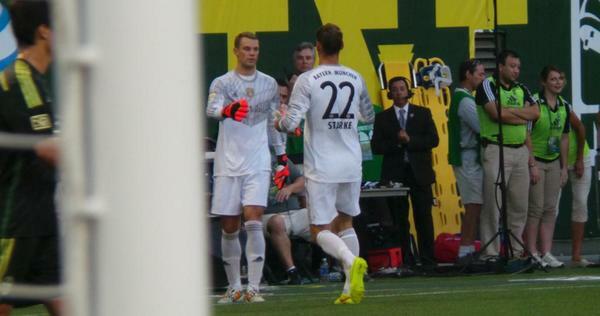 62’ - Manuel Neuer now coming in. As well as Dante. They are good at the old #soccer thing. 64’ - Yellow card for Ozzie. In an All-Star game. 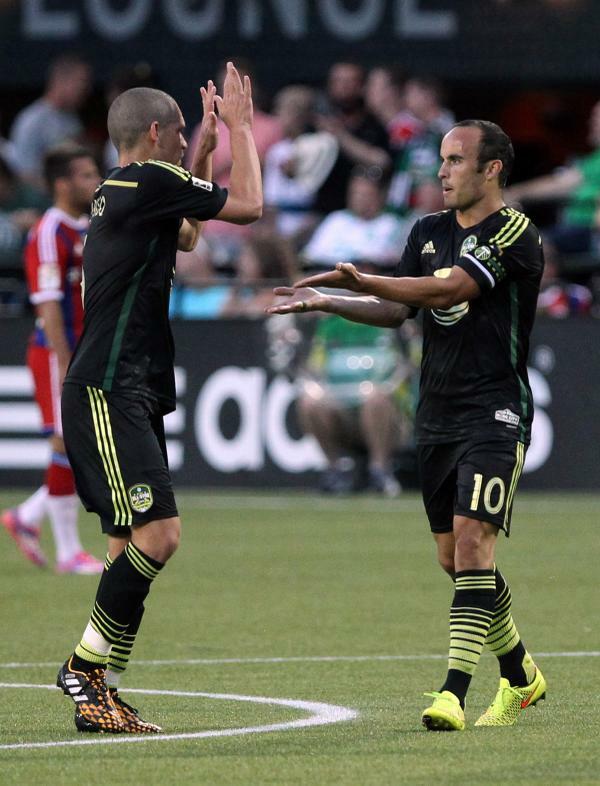 70’ - Great ball played in through the middle by Valeri…finds LD who controls, touches, finishes. 2-1. 71’ - Andddddd with that, Landon checks out for Dom Dwyer. 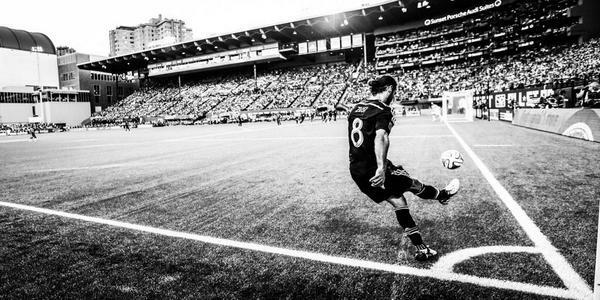 72’ - All-Stars defending well now. Gotta hold that lead, homies. 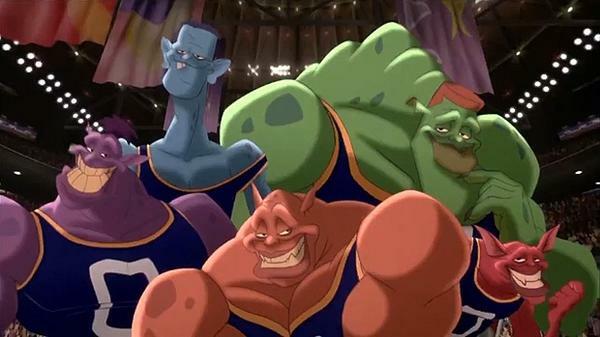 74’ - #MLSMonstar …best new hashtag. And I don’t care that I came up with it. 75’ - Ozzie and Will Johnson paired together in central midfield. 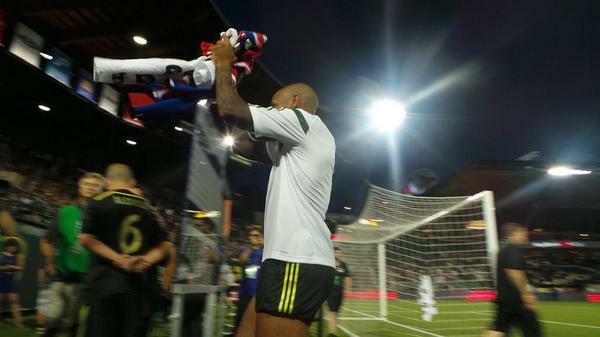 77’ - Ozzie just got flattened. They didn’t like his tackle. 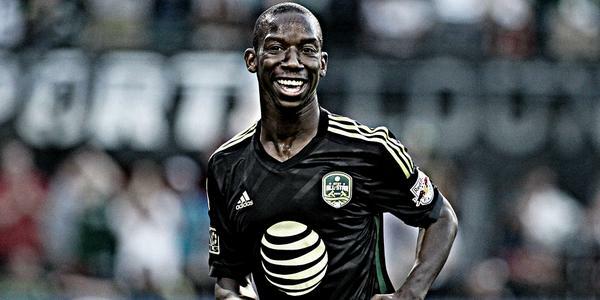 78’ - #MLSMonstars nearly get another one as Dwyer’s cross is sent in and nearly reaches BWP on the deflection. 79’ - Ruh roy…Bayern’s big guns are checking in. Schweinie, Gotze, Muller, Lahm and co. Gonna get fun. 81’ - Bayern had one too many players on the pitch and no one noticed. Probably the least fair scenario in the history of scenarios. 88’ - And Will Johnson shown yellow for bringing down Schweinsteiger. That was not nice, William. 90’ - Ruh roh. Bayern wins a FK in a very very very dangerous spot just at the top of the box. 90’ - Gotze puts it overrrrrrrr. 90+ - Now Martinez shown a yellow for getting into it with the ref after a foul was called. Yeah, that’ll do it. FT - THAT’S IT! 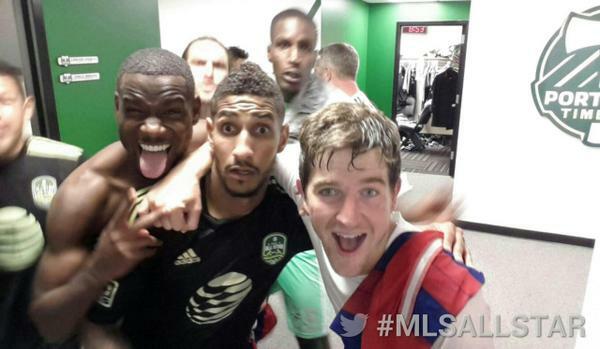 The @MLS All-Stars defeat @FCBayern 2-1 in the #MLSAllStar Game! That's it! 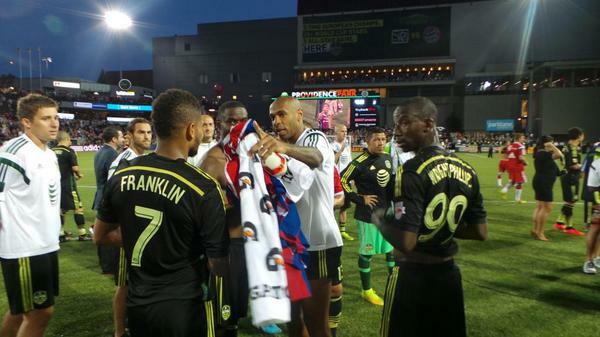 The @MLS All-Stars defeat @FCBayern 2-1 through goals from Wright-Phillips and Donovan! 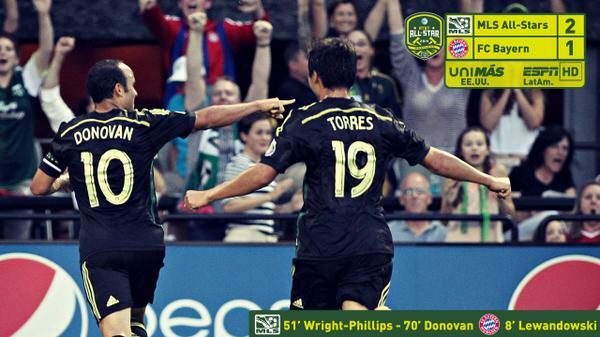 Good #MLSAllStar show in PDX. 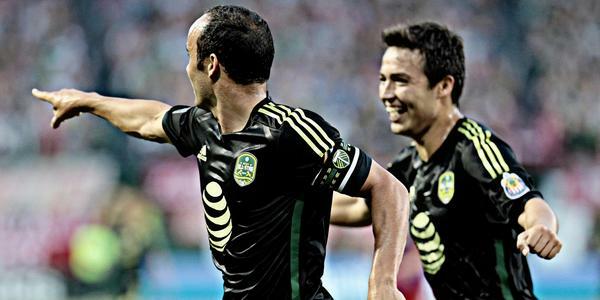 Between 2 golazos, Henry's class, Donovan scoring on Bayern and #PorterVsPep , plenty to savor.